TJ cannot walk or talk, but he still loves to listen and play with his friends. Amanda was born in 1976 and grew up in Ballinteer, a suburb of Dublin. She studied Marketing, Advertising and Public Relations in Dublin Business School and worked for several years in Marketing and subsequently as P.A. to the Chairman at Nissan Ireland. Amanda is also a qualified Montessori Teacher and SNA. In 2009, Amanda gave up work to take care of her son Tadhg on a full-time basis, after he was diagnosed with Cerebral Palsy and Global Developmental Delay in March 2009, at the age of 10 months old. Amanda currently lives in Newbridge, Co. Kildare, with her husband Greg and three children, Emily, Tadhg and Dylan. A small book with a huge message that should be read by all! Amazing book! So good for Adults and Children alike. Opens your eyes to no matter what we all still like and do the same things. Brilliant book, that all schools, library’s and Book shops need to have. Amazing book about an amazing boy! Simple but so true. A lovely message. Bold new world eveyone deserves a place in it. A beautiful and and important little book about the inspirational TJ and his family. A must for all homes, schools and libraries! Amazing book about inclusivity. I just love it and hope to see more fr9m this author. Very Inspiring, and I love the book quality. Amazing book with a big message – great for children and adults. Well done! Such an important book written by an inspirational lady. Amanda Kehoe you are role model. Such a great book thank you Amanda. Very good book. 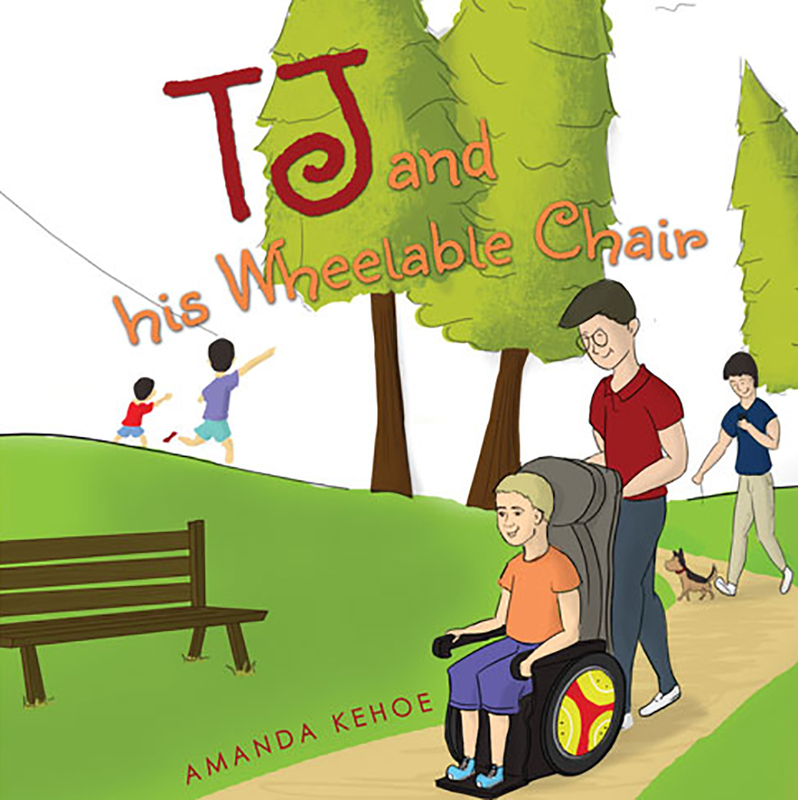 Myself have child in a wheelchair, after reading book i see same things from different angle. Thanks to the author and amazing mum. Great book by someone who knows. Beautiful simplistic book that seems to encourage further dialogue with our young ones about positive integration at a level that’s easily understood by them. Really hope there will be more to follow! Fantastic book about an amazing little boy! A delightful little story about TJ, his family and his life. Well done Amanda. A great story for kids, and adults, with a strong message. Beautiful book with an amazing message. This book has been featured at the Orange County Children’s Book Festival for the past two years. disabilities. We hope to have Amanda back again this fall with her newest book. What a wonderful book. Working for 20 or more years with children with disabilities, this book speaks volumes…. Please tell us more… your words speak for so many children… well done Amanda. Tadhg is a pleasure…. A beautiful description of a beautiful boy. It clearly shows that we are all the same and all have need to give love and be loved no matter how we visually present to the world. Beautiful book about a boy with disabilities at the end of the day we are all the same… Beautiful understanding words.. Great author.. this is real.. I am a disabled author and always appreciate when books are written that educate as well and entertain. I love that C.J.’s story is about an ordinary child who just happens to use a wheelchair. The author illustrates C.J.’s abilities and celebrates his childhood. We need more books with disabled main characters.